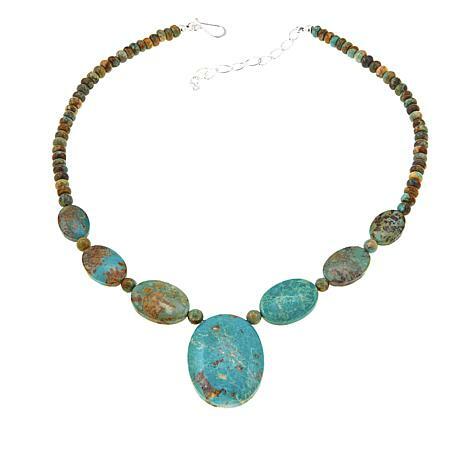 Beautiful blue-green Mongolian turquoise creates a big, bold gemstone look for your neckline. Good blue colors in these days of brow/green turquoise. Thanks Jay. This is a stand-alone piece that needs nothing else with it! So dramatic. The stones are beautiful. LOVE it! Perfect in every way. Love it. I am so pleased with this necklace. 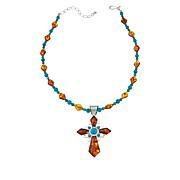 It is beautiful, the colors are so pretty and the size of the stones are great. 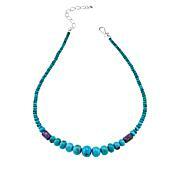 I love my Jay King turquoise necklace! I was so very pleasantly surprised to see how large and solid the turquoise stones were when I received it, especially the large center stone. The green/blue coloring of the stones is so beautiful, as are the golden brown streaks in the stones. 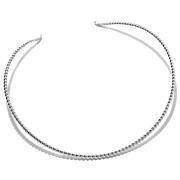 I cannot believe that I paid so little for such a stunning necklace, AND to be able to use flex pay! 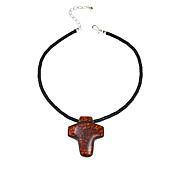 It is a tremendous value for a necklace of very high quality!